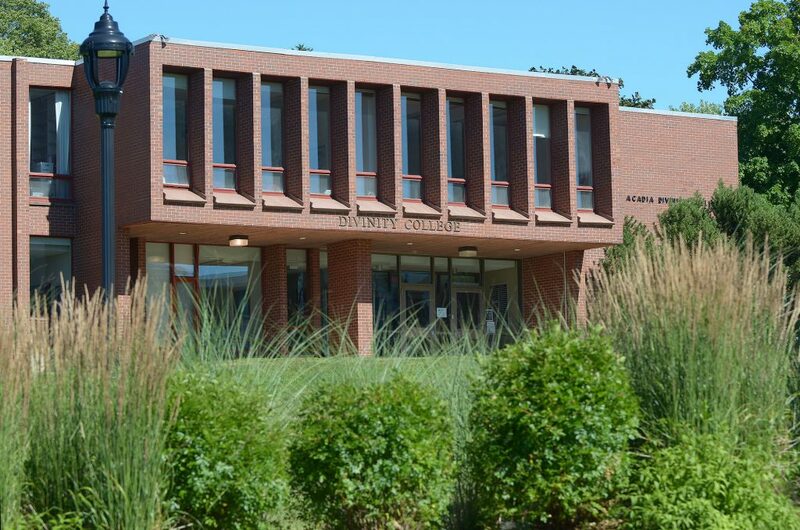 Visitors to Acadia University and the Divinity College often comment on our warm family atmosphere and hospitality. As a relatively small school, we can really build community and get to know one another more fully than is possible in a larger setting, and we think this is particularly important for spiritual formation and development. As part of our intentional focus on community, our students, staff, and faculty gather together on Wednesdays at 11:45am for a worship service followed by community lunch. This is a time for us to come together as one body of believers, and an opportunity for informal conversations and deeper friendships. Distance students and anyone interested in our services can participate by going to our Podcasts. We look forward to hearing from you about a visit, and we can also work through details around accommodations and parking as needed. Turn right into the guest parking lot at 38 Highland Ave.
A small guest parking lot is located beside the college with access from Highland Ave. 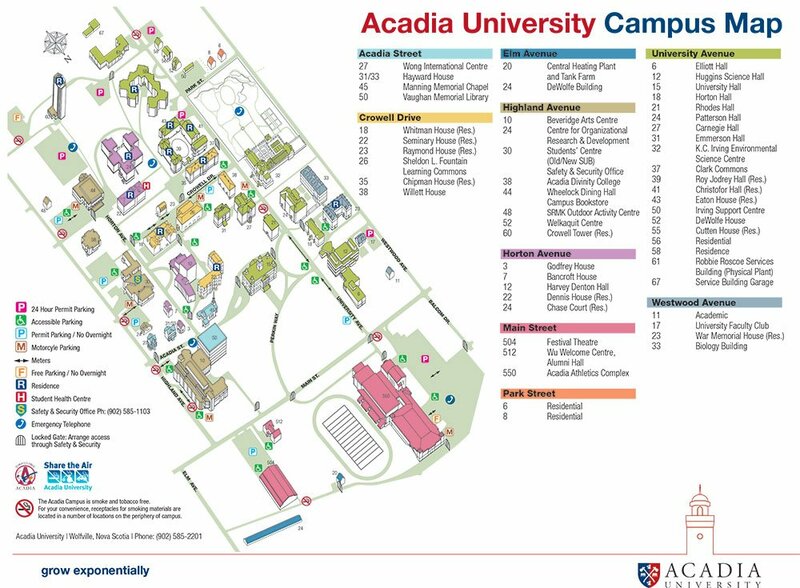 Parking passes for other parking lots are available from Acadia Traffic and Security.